Today we’re talking with Sumitra Rajkumar. 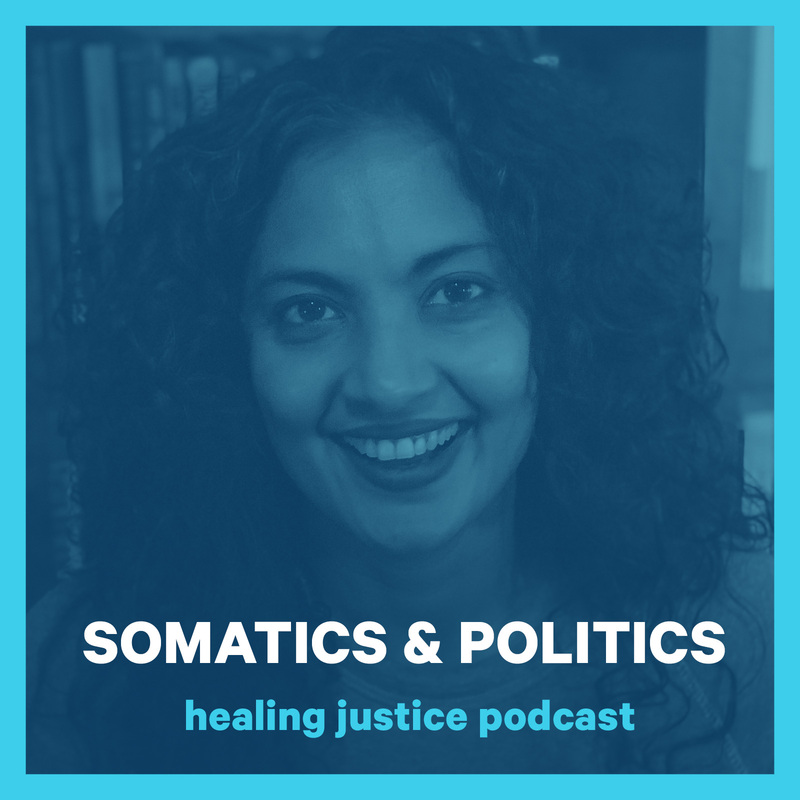 We discuss what somatics is, the meaning (and common misinterpretation and misuse) of the concepts of trauma and trigger, the reality of this political moment, and holding the seeming contradictions of organizing, healing, head, and heart. After twenty years of political education and youth-led documentary work, Sumitra is now a somatics practitioner and teacher under the auspices of generative somatics. She coaches organizers and cultural workers to address the impact of trauma in their lives and step into leadership and collective action. Sumitra works with organized groups to hone shared values and purpose, process conflict and trust their power to move society towards justice. She believes in the creative, emotional and intellectual capacities of human beings to become agents of radical, interdependent social movements. She lives in Brooklyn, New York and is working on her first novel. Download the corresponding practice to hear Sumitra guide you through a Somatic Centering practice that can be done anywhere, alone or in a group… and is one of the most fundamental building block tools of somatics, helping you to presence yourself fully in your life and in your work. You’ll need a place you can focus, and no supplies other than yourself for this practice. It can be done alone or in a group. And hey… the poem that talks about the “soft animal of the body” IS by Mary Oliver! It’s Wild Geese.